This entry was posted in Connecting with Community, Food Glorious Food, Rambles, Waffles and Digressions and tagged bottling, canning, change of plans, food, mistakes, preserves, problems, recipes, seasonal, slow food, tomato chutney, tomatoes, travel by cityhippyfarmgirl. Bookmark the permalink. Your flight and accommodation booking errors made me laugh 🙂 I can see how it would happen though! I always obsessively check details before hitting ‘confirm’ because it would be so easy to click on the wrong date / place / flight in the lead up to that final screen. That chutney should also be enough to make up for any past booking dramas – it looks great! The worrying thing Kari, is that I did check both of them. Obviously I need to check 10 times and not twice! I knew there was a reason I never worked in that industry. I’ve made the odd mistake when booking travel. I now triple check everything and use my very good travel agent for anything too complicated. That chutney looks mighty fine. Travel agents, bless their little cotton socks. Passing the responsibility over. 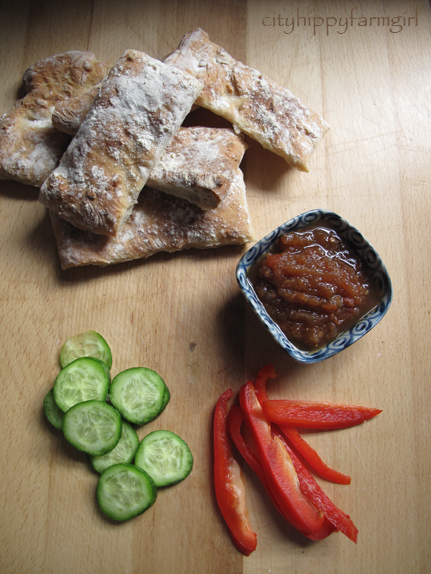 I love tomato chutney and our recipe sounds incredible. man you shouldn’t be let loose!! funny story, thanks for sharing. Thankfully ‘oops’ moments turn into funny ones down the track. Funny story Brydie and I can certainly relate (it’s even worse when you do it at work)!!! Ah now work, surely you can lay the blame entirely on a ‘technical glitch’? That little old chutney is finding itself on a lot of different things. Teamed with a cheese sandwich especially so though. Always good to know there are other people who might make ‘minor’ (ahem) technical glitchs. Soo many fantastic recipes, I can hardly keep up! This one will have to wait until the fall when I have more tomatoes than I know what to do with! Dead easy one to do when you get those tomatoes Margot. I love your writing – I’m betting you do short stories on the side. 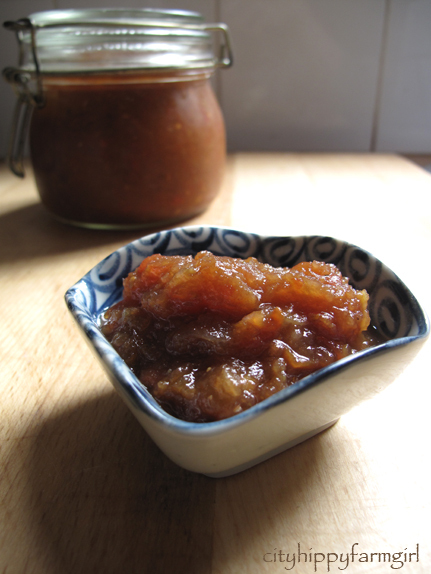 And your chutney looks just different enough to be added to my short list of summer preserves – Thanks. Anna I seem to have faaarr to many oops moments lately! Oh no! Good save anyway. I have a friend who doesn’t do her travel arrangements as she tends to mix them up frequently. I have to admit, booking flights makes me nervous, especially filling out the name and info – if you enter it incorrectly, that’s it! Love the chutney, I’ve never had a tomato version before. The tomato chutney was really easy. Bottle it or it keeps well in the fridge as well. Hahah this is classic!! Actually though I had booked my mum in to a sydney hotel for the week before she arrived. They called her asking if she intended to be late…woops! Oh Brydie! Your travel snafu confessions sound so familiar! I have my son’s do all the booking of flights for me- I don’t trust myself- I don’t care how many times I check, I still goof up something! Looking at your recipe made me smile- you love the same spices and flavors that I do- ginger and coriander and cumin- I was surprised to see that you hadn’t snuck a little cardamom into the chutney, as well! Booking travel online is a minefield – plenty of travel agents get it wrong. Chutney sounds good and those bready biscuity things look good too. Those bready things were a last minute decision to do, but they worked out well…just wish I had written down how I did them!